Last week we looked at Matthias Hollwich’s guide to ‘New Aging’. This week we look at his latest building prototype, named Skyler, which was designed taking into consideration the aging principles set out in the book. Being inherently a physical answer to aging issues, we compare it to planner Sophie Handler’s approach of “borrowing space and time”. Handler, Chair of the Royal Institute of British Architects working group on Research and Aging, stresses that we have to think beyond physical solutions and explore how we can use the existing urban landscape more effectively towards population aging. Matthias Hollwich’ aging tower Skyler (Source: hwkn.com). With Skyler, Matthias Hollwich designed an intergenerational tower that functions somewhat like a vertical city in which inhabitants can live from birth to old age. The building’s remarkable shape reflects the “sculptural character that comes with age”. 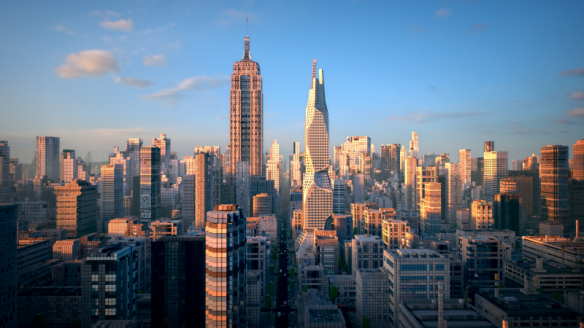 The skyscraper contains a mix of apartments, from studios to single family homes, and incorporates supportive amenities for all stages of life: nurseries for young children, offices for working adults, and health care facilities for older inhabitants in need of assistance. Moreover, the building engages with some of the principles of Hollwich’s ‘New Aging’ book, such as encouraging sociability between generations and sharing of amenities. The idea of a building that supports aging in place is in itself pretty great. It perfectly capitalizes on the growing wish of people to do so. However, the concept is taken quite literally, maybe too literally, in Skyler. In a society that is, at the same time, becoming ever-more mobile, it may be unrealistic to think that people (throughout their lives) will want to stay put in a tower, detached from urban life on the ground. The aging tower, I would say, can only be a success if the urban landscape, at ground level, is also supportive of all ages, so older people do not feel like becoming trapped in the high-rise. In other words, a home in the aging tower can serve as a good base, but still people need to be able to comfortably and safely make use of everything else that the city offers. As said, if we are to make our cities more age-friendly, we will also have to look at what already exists, and rethink how it can be used more effectively and creatively as populations age. Sophie Handler introduces the concept of “borrowing space and time”. It is probably best explained by looking at some initiatives that practice borrowing space and time. Nightclub Band on the Wall, in Manchester, UK, is being ‘borrowed’ every couple of months for a club night event for 50 year olds and over. The appropriation by older people of a space that is usually not associated with an older age group challenges perceptions of what spaces may be age-specific (in this case, a space associated with the young). In New York City, school buses are turned into a demand-responsive transport system for elderly people during the time that schoolchildren are at school. This way the bus makes practical use of the gaps in the bus schedule and offers a new form of transportation catered specifically to older adults. This initiative builds on the idea of “meanwhile spaces”, where ‘dead time’ is transformed into productive time. 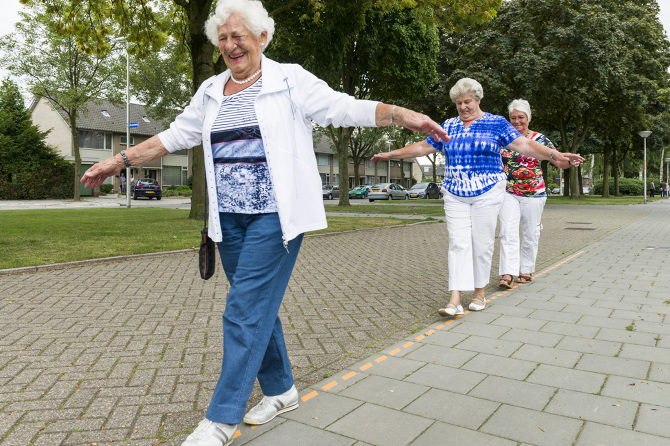 Here, in the Netherlands, design firm Denovo created an exercise route named ‘Kwiek’ for older people in Eindhoven, making use of existing features of a street, such as curbs, lampposts, and benches. By means of ‘borrowing’ and using what is already there (only minor modifications were made) a sort of public outdoor gym is created. The route turned out to be such a success that now already seven have been developed in numerous cities across the Netherlands, including one in Amsterdam. Handler argues that engagement with the idea of “borrowing space and time” opens up a broad range of age-friendly urban actions. As a creative urban practice, Handler sees the concept of “borrowing space and time” as a form of “critical urban practice”. It functions as a sort of critical urban commentary as it makes visible otherwise less visible urban dynamics and groups, and it serves as a campaigning tool for urban change (for instance, towards more age-inclusive urban landscapes). 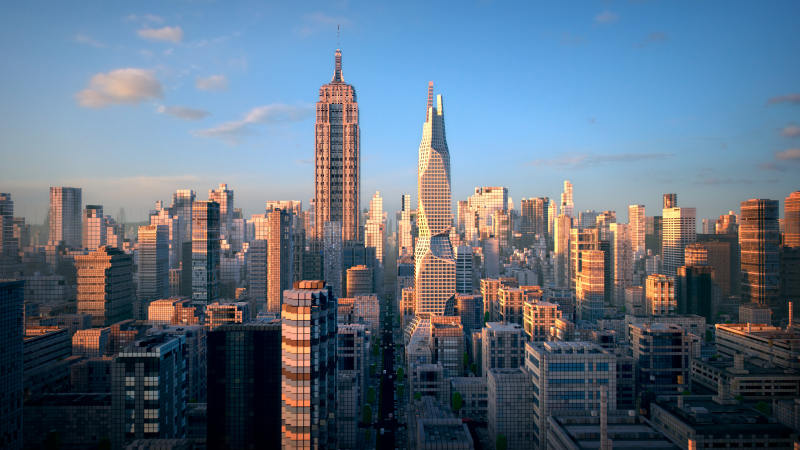 Just like that, actions of borrowed space and time may stimulate larger-scaled urban changes. Elderly exercise route in Eindhoven, the Netherlands (Source: lvwp.nl). To make cities more age-friendly, we need to think about aging when we design new buildings, be it skyscrapers or suburban homes. Nonetheless, much of our cities have already been built (and often we have forgot to think about aging). Existing urban landscapes, therefore, need to be reconceptualized, modified, and appropriated creatively to make them more age-inclusive. If we thus build anew and work with what is already there, together we work towards the same end and might actually advance some big steps in making cities more age-inclusive.